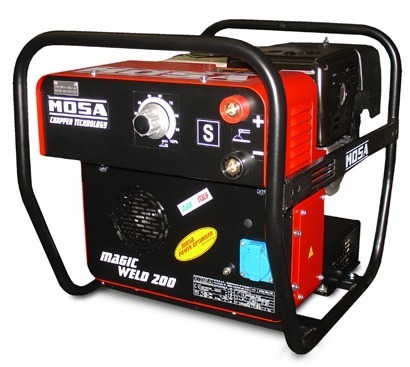 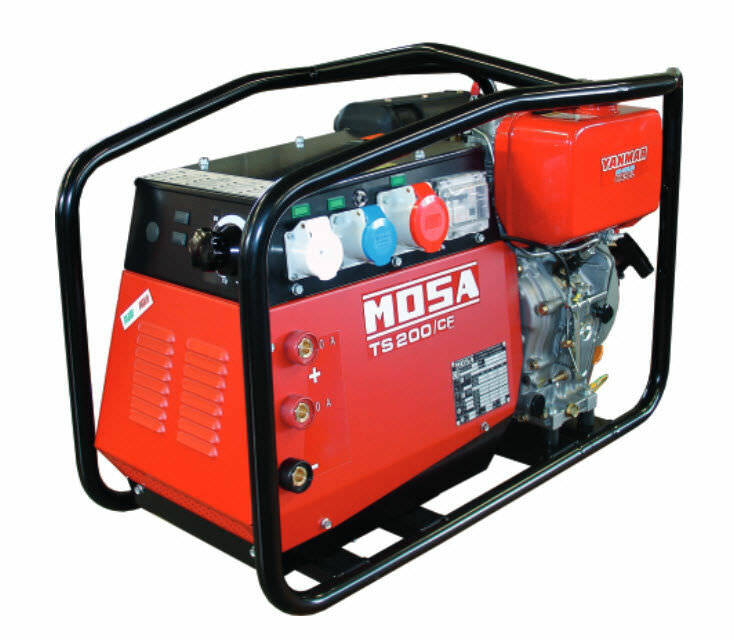 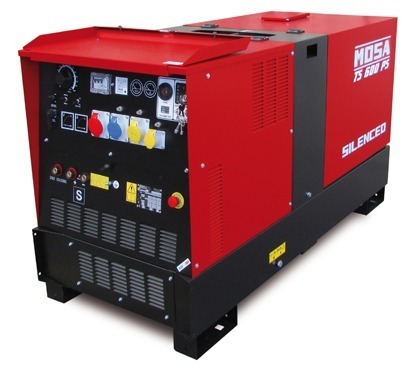 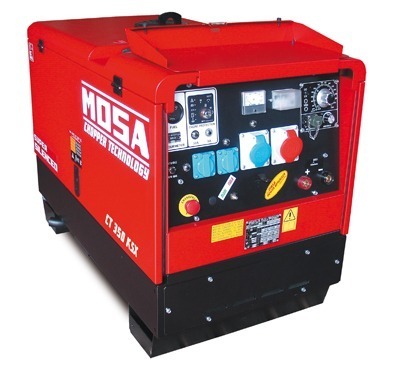 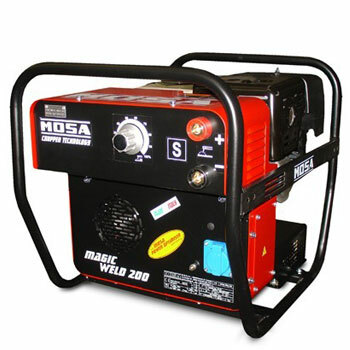 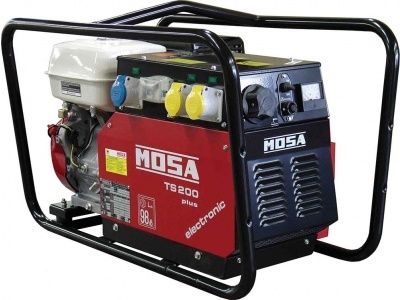 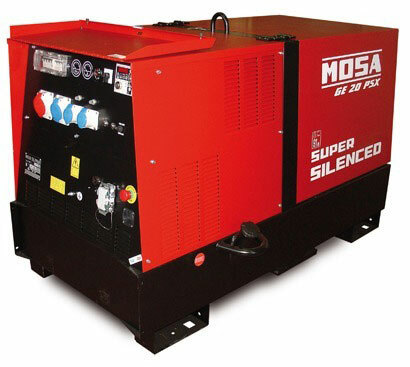 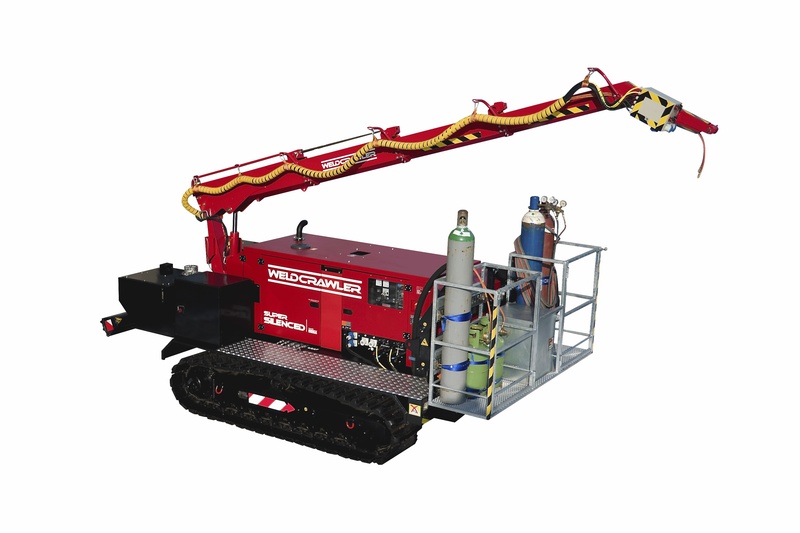 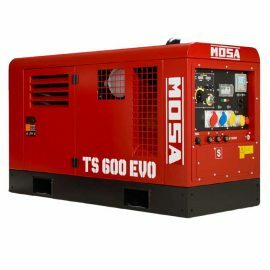 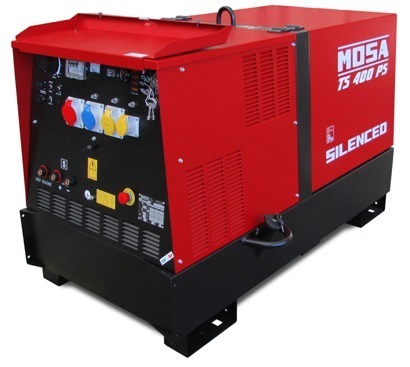 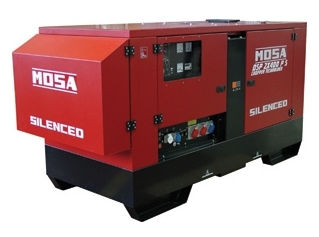 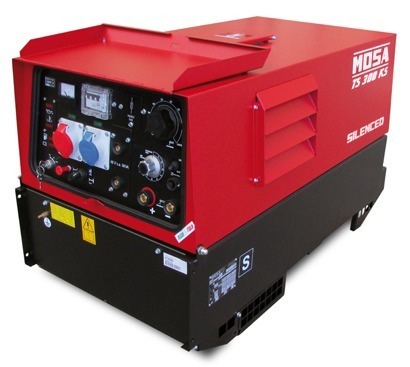 Mosa Generator Welders (Geni Welders) are available with both Petrol or Diesel engines. 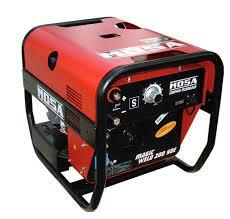 In both cases the diesel or petrol engine drives an electric generator, which then powers the welder. 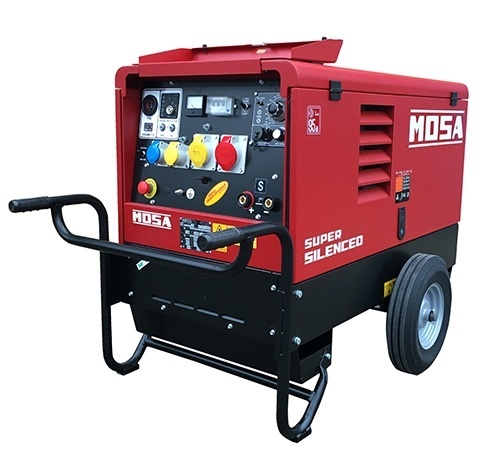 In most cases the generator can be used to power other tools, instead of, or sometimes as well as, the welder being used at the same time. 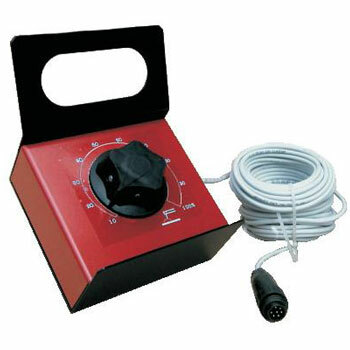 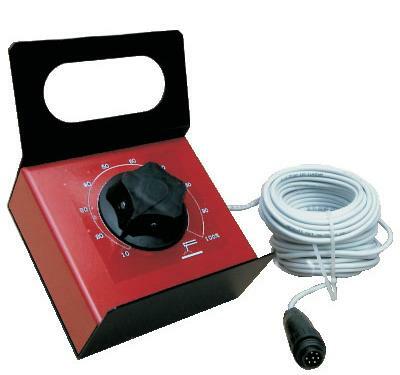 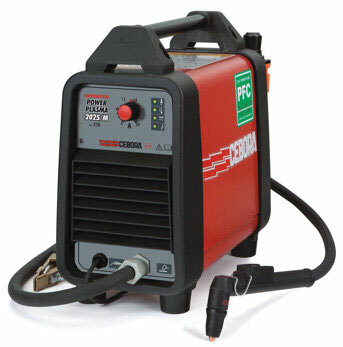 Engine driven welders come in a variety of sizes and power outputs. 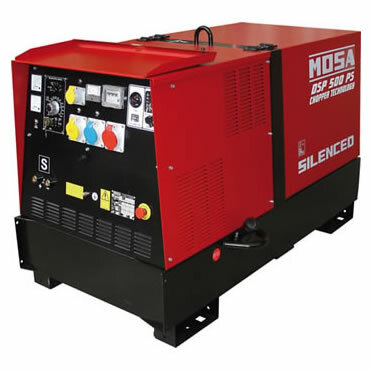 Some generator sets are extremely portable and can easily be carried about, where as others would require a vehicle to tow them, making them perfect for on site repairs or fabrication . 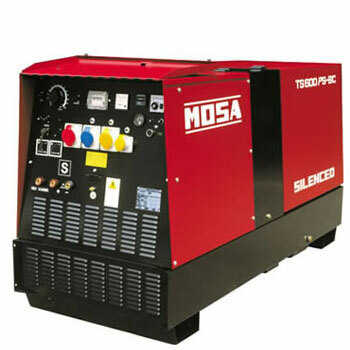 Central to the success of Mosa Welder Generators is the Mosa asynchronous welding alternator. 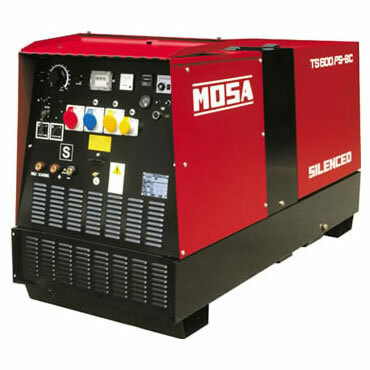 This brushless alternator designed and manufactured in house by Mosa offers excellent welding characteristics and simultaneous AC auxiliary power and requires no maintenance as there are no brushes to wear and the solid rotor has no windings. 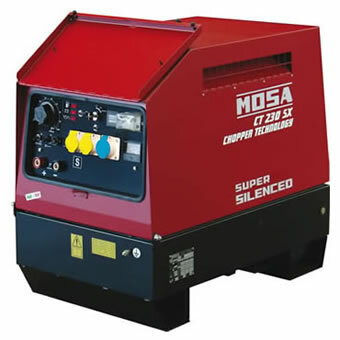 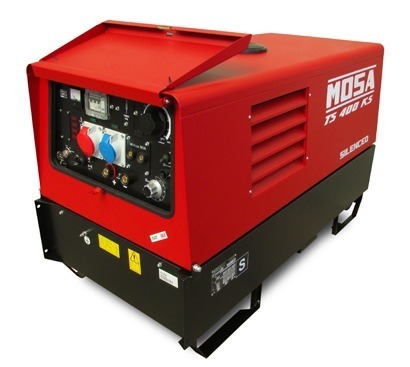 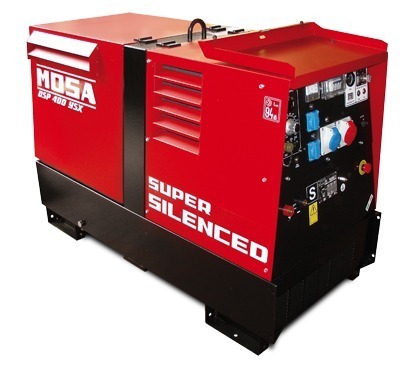 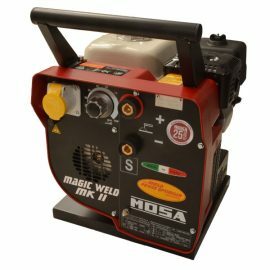 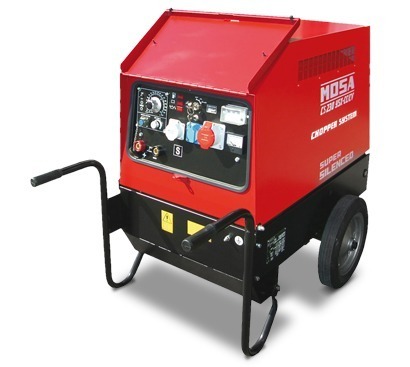 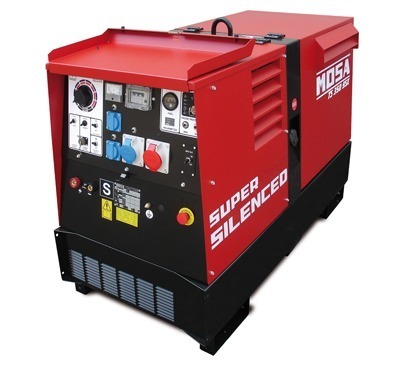 The Mosa line up consists of the super portable Magic Weld Series, the general purpose TS Generator Welder range, the CT line featuring Chopper Technology and the digitally controlled DSP series. 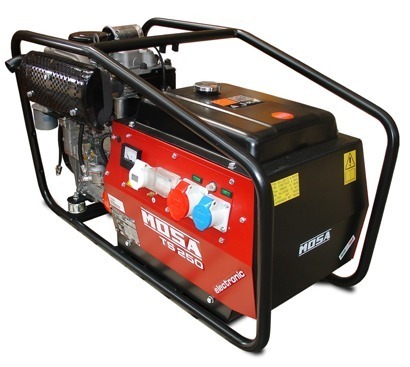 Diesel Generators are usually heavier then their petrol counterparts and more expensive to buy, however a busy welder will see a huge cost savings in terms of fuel over time. 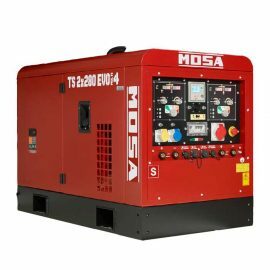 At TBWS, we stock a large number of Mosa generators and welders and can quickly get hold of other brands should they be required. 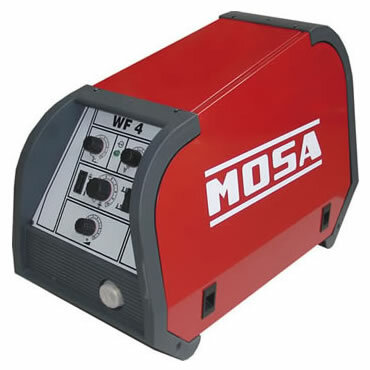 Mosa MIG Wire Feed Units are available for all Mosa CC/CV & DSP welder generators.